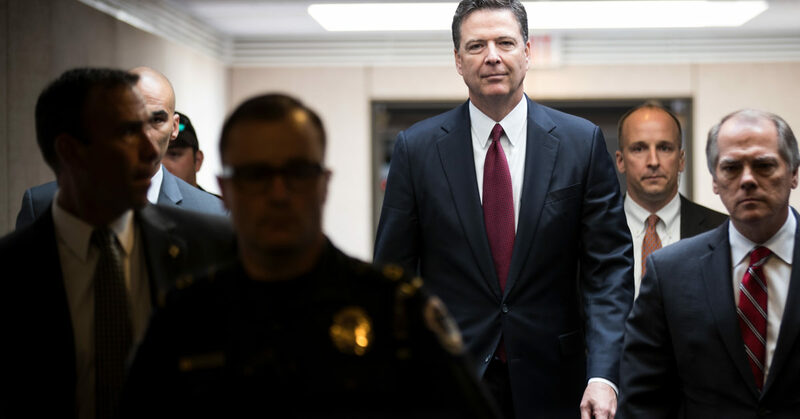 On Thursday, June 8, 2017, the plug was pulled and the swamp finally started to drain as the poster boy for 'deep state' was finally exposed as one James Comey...former F.B.I. Director James Comey...Obama appointee and Hillary protector James Comey... who got sucked into a quagmire of his own doing. 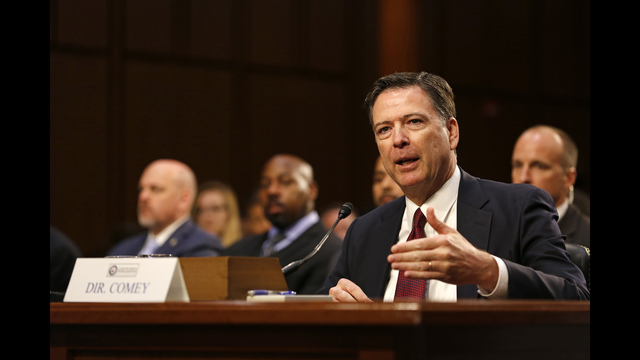 And by now we know well the details of James Comey's testimony during the three-plus hours where both Republican and Democratic senators questioned now private citizen Comey about his relationship with President Trump, the circumstances of his firing, and the still to date ongoing federal probe into Russia's 'supposed' but still unproven 2016 election tampering. 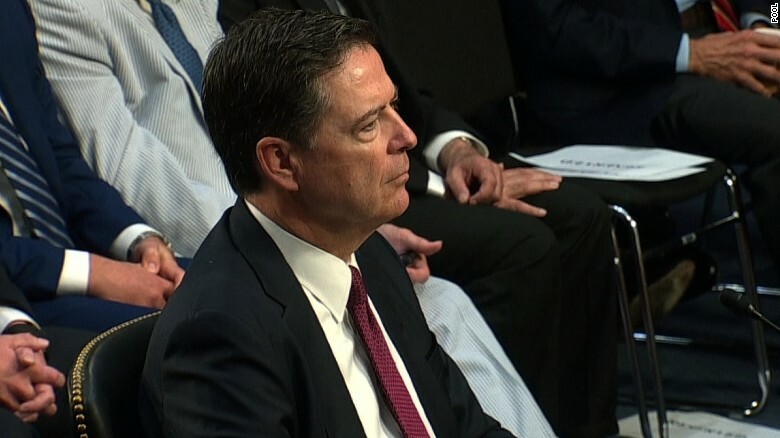 But the bottom line of those three-plus hours is that while James Comey did say that he personally did not believe Donald Trump to be a truthful nor a trustworthy person, Comey admitted under oath that President Trump did not try to interfere with, impede, or shut down the Russia investigation; that the president was never under investigation; confirmed President Trump's claim that he shared that piece of information with Trump on at least three different occasions; and inadvertently admitted much to every one's surprise that he alone orchestrated...via former federal prosecutor and current Columbia Law School professor and friend Daniel Richman...the leak to the press... specifically to the New York Times...of the “contents of the memo” he had written after a February 14th meeting with the president, and did so as a way to force the creation of a special council in regards to the Russian investigation. So much for the Democrats call for Trump's impeachment for with those words said, James Comey sent the Democrats scrambling for their safe places. 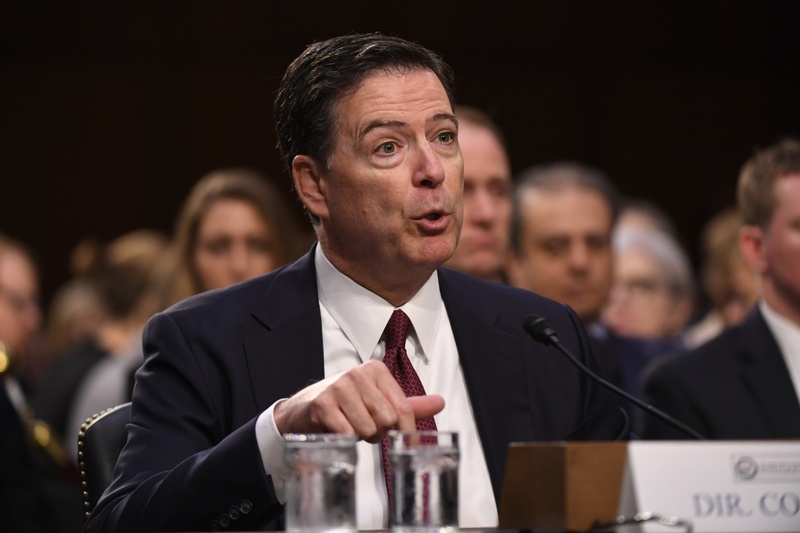 And how foolish James Comey was to ever cross the line of accusations against the president regarding the Russian investigation for the fact is that a sitting U.S. president legally has 'absolute authority' to ask his F.B.I. director about any ongoing investigation as long as said president does not interfere in the fact gathering process or procedures of that investigation. And a sitting U.S. president, much to Comey's chagrin, does have the right to ask for loyalty from those who serve in his administration for a pledge of loyalty does not mean a pledge to do the bidding of things that cross the line of trust placed or that break the rule of law. And herein falls Comey's admission that he composed detailed memos of his interactions, meetings, and discussions between himself and President Trump, and his claiming he did so because he believed Trump would likely offer misleading accounts about said interactions sometime in the future. So much for trust and loyalty to the man who was his boss and to the country he himself pledged an oath to...an oath that states that "...I will support and defend the Constitution of the United States against all enemies, foreign and domestic..."
And James Comey is indeed a domestic enemy of the first degree for it seems he wants us to believe that he can predict future events while forgetting past events and memos not written, especially those not written of his all-important sham of an interrogation of Hillary Clinton, along with his admitting that he became aware of "cyber intrusion" by the Russians in the summer of 2015 but did nothing, said nothing, and composed no memos to that affect. And this action of omission alone proves Comey's loyalties remain with both the man who appointed him F.B.I. director...one Barack HUSSEIN Obama...and more importantly with Hillary Clinton...the very woman he claimed then Attorney General Loretta Lynch...the woman who makes him "queasy"...pressured him into not recommending she be indicted for the email scandal and that he refer to the then still ongoing proceedings as a 'matter' not an 'investigation.' (If true, charges of obstructionist must be brought again Lynch.) 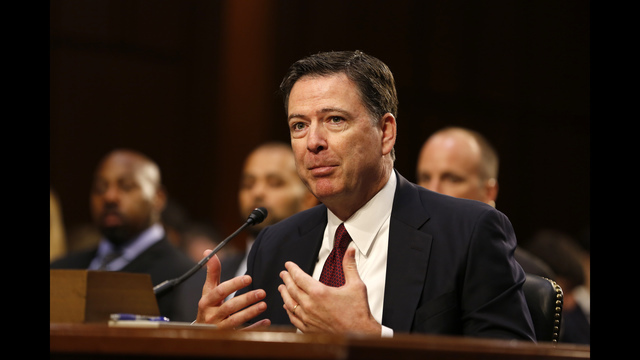 And Comey claimed this regardless of the fact that he had previously testified under oath that Hillary had indeed violated the 'statutory language' of the Espionage Act with her improper email activities and corresponding lies about it, while even now still claiming there was no criminal case to be made. 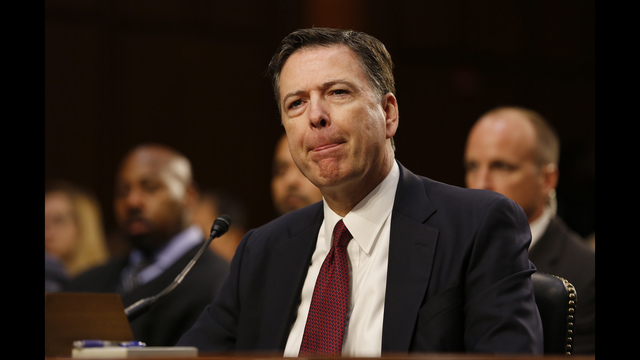 And while the word 'liar' immediately comes to mind, the words 'coward,' 'obstructionist,' 'weakling,' and 'traitor' fits James Comey just as well. And might I add the word 'felon' for in James Comey's admitting that he orchestrated the leaks of notes and information to the press via memos composed on government computers...notes and information that actually belong to the government...means that he, James Comey, knowingly and willingly broke the law for he leaked, as per President Trump's personal attorney Marc Kasowitz, information that was “selective and illegal.” That in turn presents a case that Comey could be arrested under the Espionage Act if the information he leaked contained even a modicum of 'classified' national security information no matter James Comey's claiming that that he had ''deliberately written" the specific memo in question as an unclassified document. "Deliberately written" proving that James Comey calculatingly and with deliberate malice executed his plan to destroy the President of the United States with lies, innuendos, and illegal actions taken. And that includes the strong possibility that it was also James Comey who leaked information that now-former National Security Adviser Michael Flynn spoke to the Russian ambassador about U.S. sanctions against his country soon after then-President Obama announced them. But even with all this being said there is something that has been grossly overlooked...something hiding in plain sight...for the simple facts as presented during his testimony show that former F.B.I. 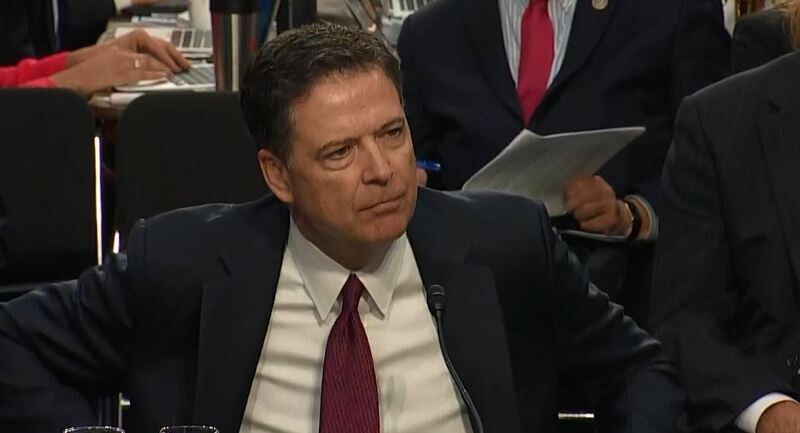 Director James Comey is nothing but yet another whining and desperate bureaucrat out for revenge for being fired, and that all his actions taken are but a form of workplace violence... albeit workplace violence without a single physical shot being fired. Let me explain. Everyone is under the assumption that the Russian scandal is of Hillary Clinton's doing...that she alone planned it, orchestrated it, and implemented it as revenge for losing the election to the man she derogatorily loved to call 'Donald'...but I say there is another scenario that actually makes more sense and falls in line with James Comey's current testimony. And that scenario is that James Comey himself created the Russian scandal to hold as blackmail over Donald Trump's head should Trump win the election... and why...simply because Comey did not believe Trump would keep him on as director of the F.B.I. if he became president. And like all greedy self-serving Washington scoundrels, James Comey craved power and all of the perks that accompany said power. And so in desperation the Russian blame game was constructed post-haste by Comey (with probable input by both Hillary and Billy-Boy), fueled on by Hillary and crew, acted upon by the rioting snowflakes, and ran with ad-nauseum by the media, forcing President Trump for the time being to keep Comey on for it would look bad if he outright replaced him too early on in his presidency what with his call for bipartisanship to help 'Make America Great Again.' But with Comey being an Obama pick... Comey knew his days were numbered so he created the memo in question with the intention of leaking it at just the right time to cause the most damage as revenge for what he knew would be his eventual firing. But it also must be understood that James Comey was not...I repeat not...Obama's puppet but was the puppet of the Clinton's themselves and that every decision he made was done to protect both Bill and Hillary for it was them who lined his deep pockets and gave him the power he craved...translating into any impartiality while investigating Hillary be damned. And certain events through the years show this to be true starting with Billy-Boy's and Loretta Lynch's oh so infamous and highly unethical meeting on the Phoenix tarmac...a meeting that was about anything but the grandchildren and golf. 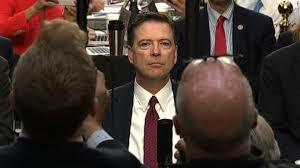 And what I believe that meeting was really about was the finalizing of plans to bring down whomever became the Republican nominee...and I guarantee James Comey was the mastermind of this plan as he was the sole author of the politicization of the criminal probe into Hillary Clinton's emails. In fact, according to a Washington Post article, Comey himself obstructed justice when he personally decided to let Hillary off scot-free after seeing and believing the contents of a forged memo the F.B.I. 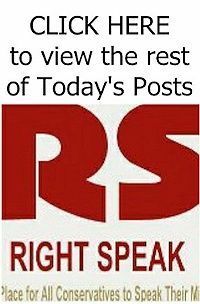 had intercepted...a memo that claimed Attorney General Loretta Lynch 'had assured' a Clinton associate that the Department of Justice would not "vigorously pursue" the case against Hillary for her use of what he knew was an "illegal and unsecure server." Basically what Comey did was take it upon himself to fully exonerate then-candidate Hillary Clinton of her mishandling of classified material and he did so during the height of the presidential campaign...something that in and of itself reeks of both improprieties and of his trying to rig the election in Hillary's favor. And that is a criminal offense in its own right. But James Comey's deep ties and giving passes to the Clinton's for what were criminal wrongdoings goes back further than the tarmac meeting and his obstructing the email investigation. In fact, those ties go back to Whitewater when Comey was appointed deputy director of the Senate Whitewater Committee...the very committee that was investigating both Clinton's for shady real estate deals while Billy-Boy was governor. Remember, the Clinton's escaped all charges even though Comey acknowledged that Hillary obstructed the investigation and destroyed evidence, yet he still decided not to prosecute her due to "lack of intent,” while their business partners Jim and Susan McDougal and former Arkansas Governor Jim Tucker were convicted and served time. "Lack of intent"...the exact same words James Comey used when deciding not to recommend indicting Hillary in the email scandal. Now fast forward to 2002, when as a federal prosecutor, James Comey took over the investigation looking into the legalities of Bill Clinton’s questionable 2001 pardon of then fugitive Marc Rich, a hedge-fund manager indicted on numerous counts of tax evasion, wire fraud, and racketeering...a pardon Billy-Boy granted without the required D.O.J. review process...a pardon granted only after Rich’s wife contributed $450,000 to the Clinton library fund, $70,000 to Hillary's New York senate campaign, and with another million thrown in for good measure. And James Comey upheld said pardon even though he knew it was a bought-and-paid-for pardon granted courtesy of monetary bribes. And remember the Sandy Berger case...the case where Berger, then Clinton’s National Security Advisor, stole documents showing that Billy-Boy could have taken out Osama Bin Laden years before 9/11 but chose not to do so. Berger, though caught with said documents, was not charged as it was James Comey who headed that investigation. Moving on to 2005 we now find James Comey joining Lockheed Martin as senior vice president and general counsel. Comey was paid $6 million in one year alone from Lockheed. And why is this important... because before Comey left Lockheed in 2010...before he held a membership position on a Clinton Foundation corporate partner’s board...before it became known that his own brother Peter Comey was an executive at DLA Piper, the law firm that does the Clinton Foundation’s taxes...and before it was disclosed that he, James Comey, holds the mortgage on his brother’s mansion...Comey convinced Lockheed to become a major Clinton Foundation donor, a Clinton Global Initiative member, and helped Lockheed win 17 approvals for private contracts while Hillary was Secretary of State. And then in 2013, Comey joined the board of directors of HSBC Holdings, a British bank that is a long-time partner of the Clinton Foundation...the very foundation whose corporate partner board he once served on. So you can see James Comey's ties to the Clinton's run deep and run long...both monetarily and politically...and are deep enough to assure his loyalty to do everything possible to seek revenge against President Trump not just for his firing, but for both Hillary's loss and fall from political grace as well. And so Comey concocted a plan using the Russians who he knew never hid the fact that they were not fans of Hillary no matter that she sold America out to them in the Uranium One deal while she was Secretary of State. 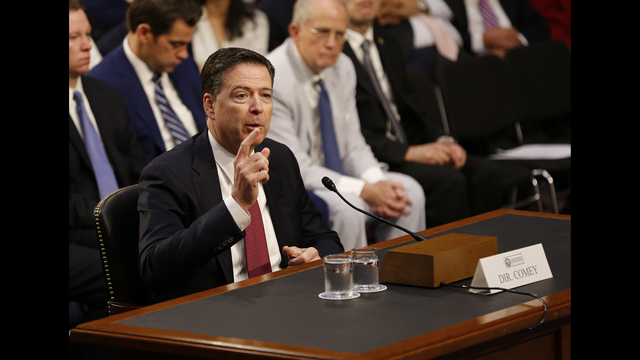 And now with James Comey's testimony...testimony that signals possible legal trouble for Comey himself...Hillary's hoped for revenge has come to a screeching halt for Comey failed to provide any evidence that would end the Trump presidency. And even though President Trump has been cleared so to speak, be prepared for the Comey/Hillary/Trump saga to continue on until the 2018 mid-term election simply because the Democrats and the media want to keep the drama going...and there is not a damn thing we can do about it. 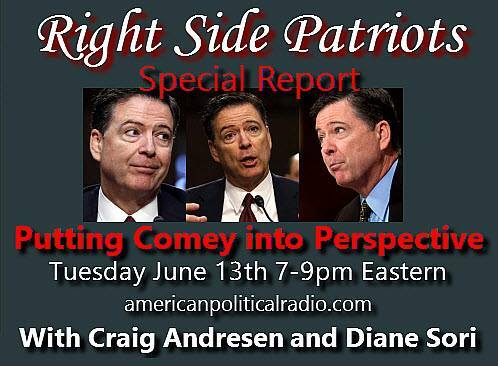 Today, Tuesday, June 13th from 7 to 9pm EST on American Political Radio, RIGHT SIDE PATRIOTS Craig Andresen and Diane Sori discuss all things James Comey. This is one show you do not want to miss.